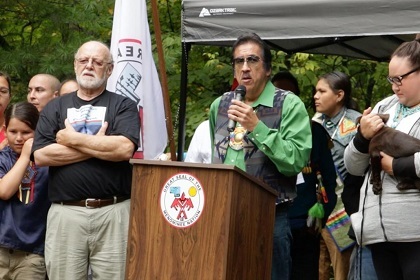 http://newiprogressive.com/images/stories/S5/menominee-nation-now-s5.jpg November is National Native American Heritage Month, and we remember the service and sacrifice of the Menominee Nation for their history of helping victims of the Great Peshtigo Fire of 1871. 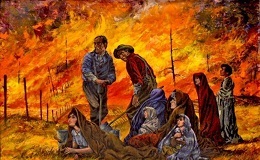 MADISON - On October 8, 1871, an intense firestorm roared through the village of Peshtigo, Wisconsin and the surrounding area. The Great Peshtigo Fire burned parts of northeastern Wisconsin and Upper Michigan on the same night as the Chicago Fire, however there are little similarities between the two fires.